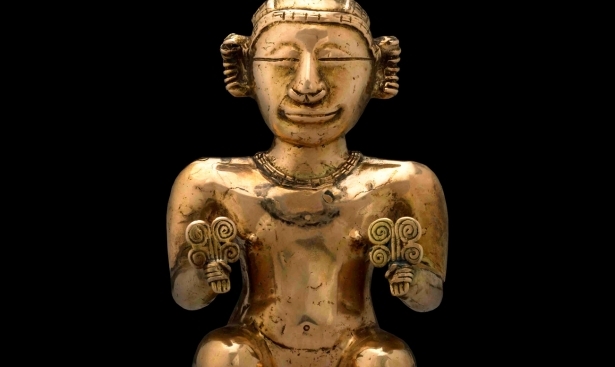 Archaeologist Julia Mayo, a researcher at the Smithsonian Tropical Research Institute, studied the work of her colleagues of the early 20th century for ten years and came to the conclusion that the tribal burial ground of the ancient Indians is located in the place of El Cano. In 2009, a group of archaeologists, led by Mayo, explored the area with the help of geodetic instruments and discovered a necropolis in the form of a circle underneath the earth. Under a five-meter thick land, the researchers found the bones of the leader of an Indian tribe adorned in gold garments. Breastplates, gloves, bracelets glittered as if they had just been laid in the ground. 2000 beads of the precious yellow metal the size of a cherry covered the belt and legs of the leader. 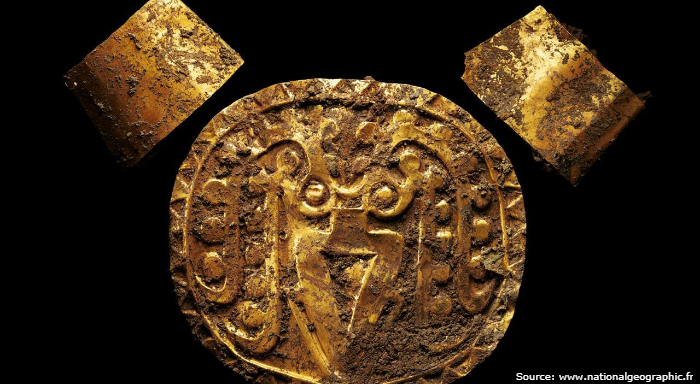 In the photo: Chest gold plate with an embossed image of squid. In the photo: Golden armlets of the ruler of the El Cano tribe. In 2010, another leader was found in El Cano, no less distinguished and wealthy than the first, and his son, also dressed in gold. 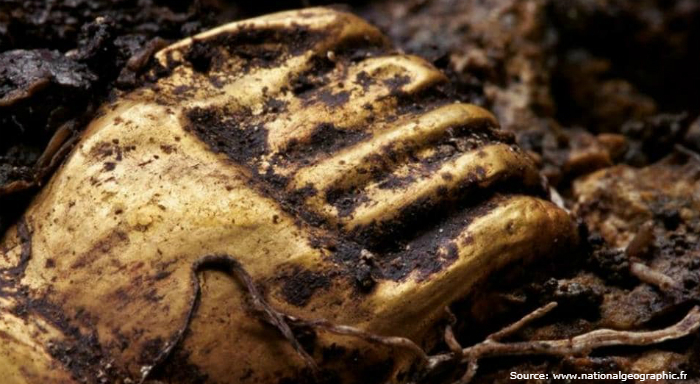 Archaeologists found four gold plates on the burial ground, four mittens, utensils made of the precious yellow metal and other jewelry. 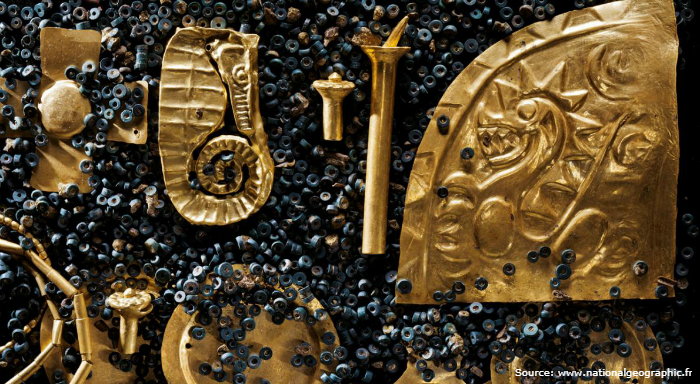 In the photo: Utensils and jewelry from gold, discovered by archaeologists in 2010 in Panama. 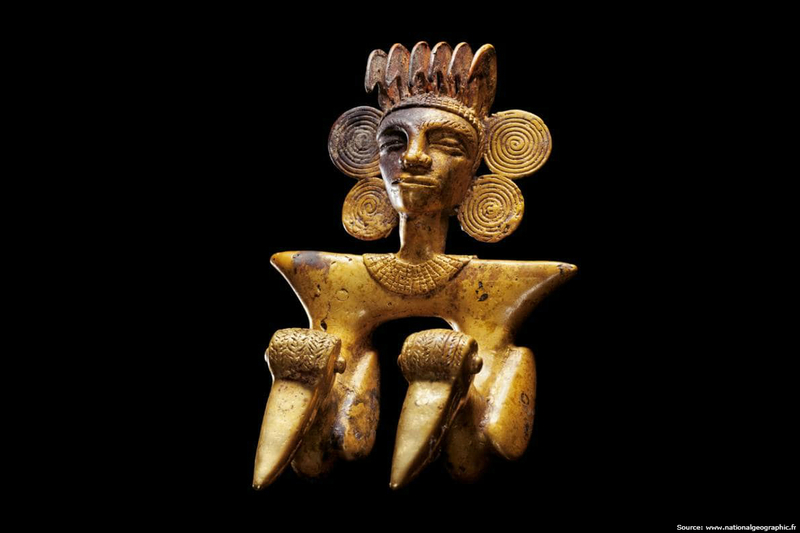 Scientists have studied the composition of jewelry and found out that gold has been mined and processed in Central America. This indicates a high level of skill of an unknown Indian tribe. 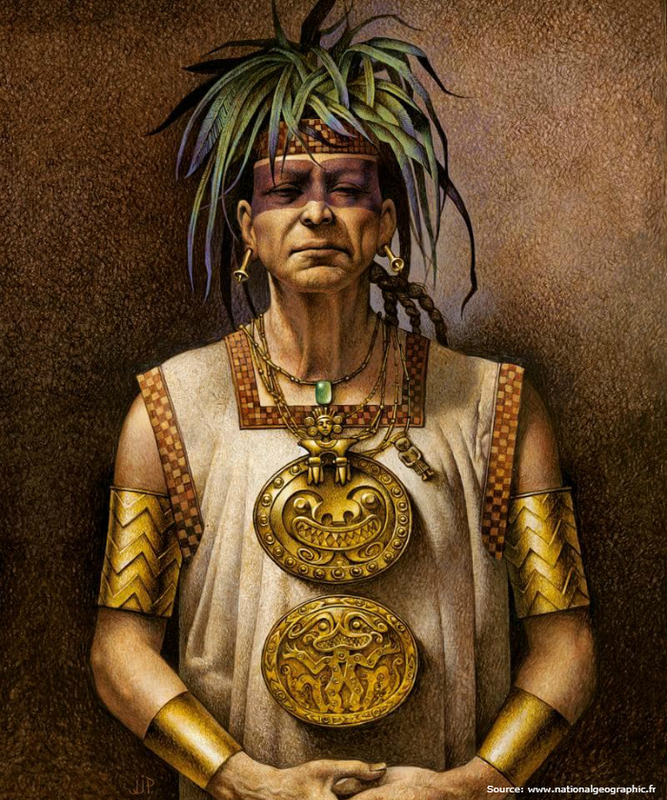 In the photo: The photo shows the leader of the tribe in a gold robe. A group of twenty scientists studied only a small part of the burial for the period of four years. Expeditions of Julia Mayo will need 196 years to finish the excavation in El Cano, but this work process of studying the Panamanian treasures will not end. A few miles from this ancient cemetery, up the river, the lucky archaeologist Mayo discovered traces of another necropolis of the same time period. She hopes that she will have the strength and time to study it and glorify the area just as a fellow archaeologist Carter glorified the Valley of the Kings in his time. In the photo: The team of archaeologists Julia Mayo continues the work. The Indians, who inhabited the territory of Panama 1200 years ago, lived in lightweight houses of cane and buildings of that time did not survive. Therefore, the gold of El Cano is the rarest evidence of the life of Indian tribes. 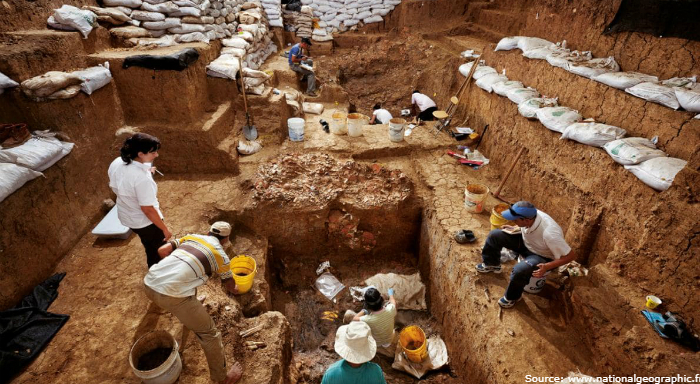 El Cano's burial ground is 600 years older than the invasion of the conquistadors. 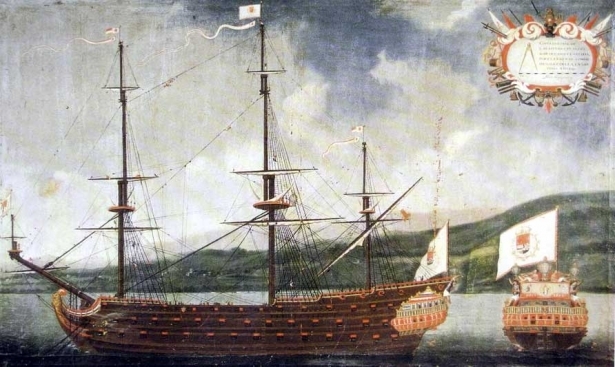 The first Spanish conquerors came to Panama in the 15th century, and after their arrival, the first documentary evidences that support the life of the indigenous peoples of Central America appeared. 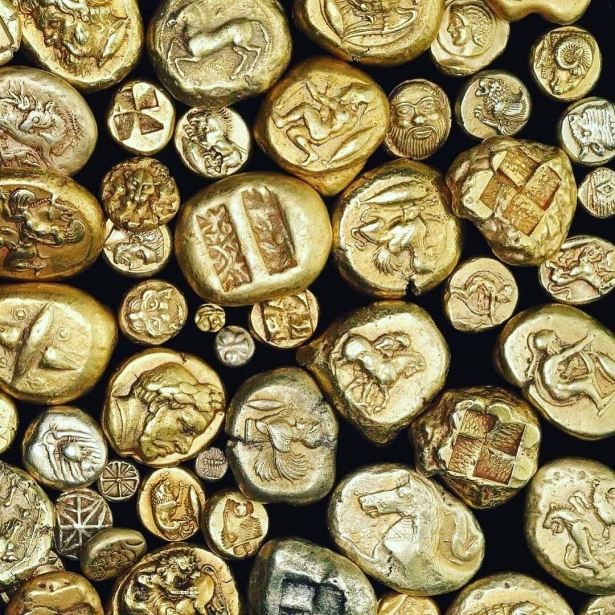 Historians believe that gold of this unexplored culture will uncover many interesting facts for the science.